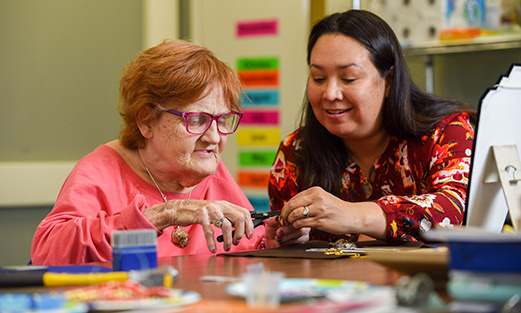 Our skilled teaching artists engage adult students of all abilities, in our classrooms, on our stages, and in your schools and community spaces. CAWi Theatre Arts Training program is designed to mold the next generation of artists in a guided, dynamic, studio-style process-based program that is tailored to the needs of each individual student. Classes are $45.00 per hour unless otherwise specified. Contact us directly about Homeschool Group Rates. We are currently offering rolling registration, so come and join the fun! Explore with acrylics and watercolors in this process-focused class. 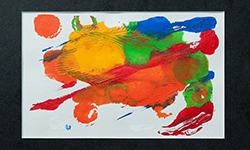 You’ll have the space and freedom to create original and imaginative work in this active form of painting that encourages self-expression with large and small strokes, pointillism, and large swaths of color. We will use specific color palettes to create unique works and use multiple transfer methods including brushwork, rollers, and print-making. 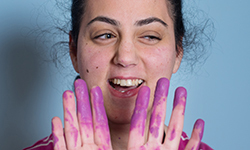 Come experience the healing power of paint in this transformative class! 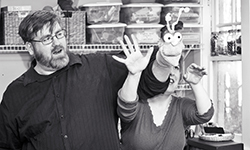 CAWi Puppetry integrates individuals with cognitive, developmental, emotional, behavioral and physical disabilities in arts programming designed to develop social and communication skills vital to success in school, work and life through puppetry. In our program, local professional artists lead participants through the elements creation, physicalization, and film production activities that nurture self-expression, conversation, and group participation. And also, it’s hilarious. Students will work with a dynamic assortment of materials to create unique two and three-dimensional collages. Adult students, with a wide range of abilities, are encouraged to engage in the creative process. Some students may choose to bring an empowering partner (support staff) if communication, upper body mobility and/or dexterity is limited. This program is tailored to the individual needs and goals of each student. Students are encouraged to discover and explore their unique perspective of the world through creating collage. Attendees of this workshop will be encouraged to make independent choices to explore and interpret personal experiences. Students are encouraged to discover and explore and interpret personal thoughts and experiences through creating collage. This class will be held in a group setting. Participants in this program develop fine motor skills, critical thinking, and communication skills while working in a collaborative environment. Students will learn the basics of jewelry making and create pieces for themselves and others. Each student will be given the opportunity to design, craft, and create wearable works of art. Let your imagination run wild! It’s time to have fun making art inspired by animals, dreams and imagination.Students will work with a wide variety of art supplies and materials to create unique two and three-dimensional artwork. Adult students, with a wide range of abilities, are encouraged to engage in the creative process. Some students may choose to bring an empowering partner (support staff) if communication, upper body mobility and/or dexterity is limited. This program is tailored to the individual needs and goals of each student. Students are encouraged to discover and explore their unique perspective of the world through creating collage.Attendees of this workshop will be encouraged to make independent choices to explore and interpret personal experiences. Students will be encouraged to explore their own creativity with the help of tools, processes, feedback and personalized assistance. We will promote a respectful classroom environment to encourage a positive and safe environment This class will be held in a group setting. In this class, we will explore a unique art form where participants will create an original play using a collaborative approach. This is an experimental new way of approaching both writing and scene study where we will explore multiple avenues of discovering a single narrative through group storytelling. The end result will culminate in a staged reading of the work in process. 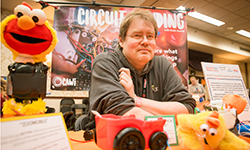 Explore the insides (“guts”) of used electronic toys to discover what makes them bleep, bloop, and bop. Seek ways to change their behavior by altering the circuits. Finally, make permanent modifications by adding switches and buttons. Help is available for any necessary soldering & drilling. The class is accessible to all and will include appropriate accommodations, as well as welcoming empowering partners (support staff) as part of the process. Students are encouraged to take this class more than once, as this training builds the foundation for many of our future courses. 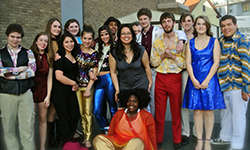 We offer a unique program which encourages exploration while creating for each individual student the opportunity to see the world through the diverse lens of the Performing Arts. They will work on character development, movement, and make strong character choices. Experience theatre by learning basic skills and gain confidence through a variety of Theatre Games. The end result will be a culminating experience to be performed in the local community.